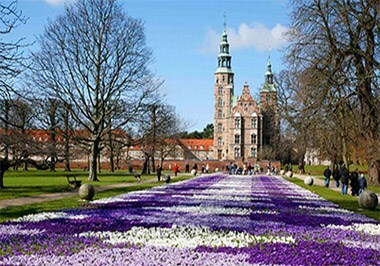 Copenhagen is the capital and largest city of Denmark with a population of 1.2 million, but there are almost 2 million people in the Greater Copenhagen region. 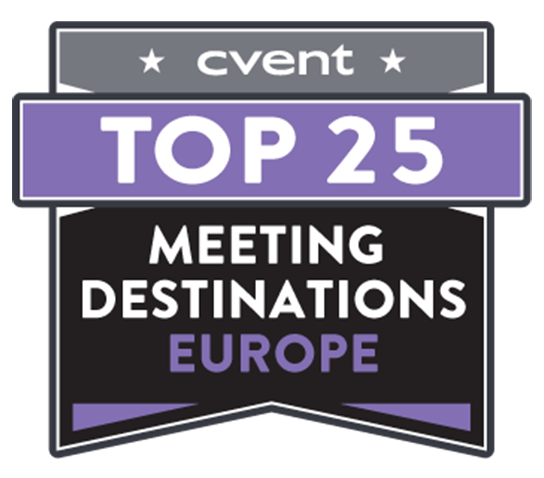 The city hosts several large conventions, conferences, meetings and corporate events every year, attracting delegates and MICE clients from all over the world and, unsurprisingly, Copenhagen has been in the top 10-list of ICCA's ranking of the world's most popular convention cities for years. Copenhagen is known for its happy people, laid back lifestyle and the concept of 'hygge' – the best way to translate this is into 'coziness'. The capital city is very compact and it is easy to get around when you are here – you can basically experience most of Copenhagen by foot or blend in with the locals by renting a bike, which is also the quickest way to get around town. In 2016, bikes even outnumbered cars in Copenhagen. 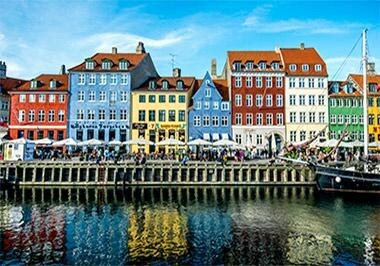 This means that it is very easy to combine business with pleasure by attending your meeting in the city centre and at the same time being able to explore the city afterwards – visiting museums, attractions or simply enjoying a drink at picturesque Nyhavn (The New Harbour). Copenhagen is home to Scandinavia's largest and busiest airport. Copenhagen Airport (CPH) was recently ranked Europe's most efficient airport (2016, ATRS). With around 165 destinations directly connected to Copenhagen Airport it is one of the most well-connected and fastest growing airports in Northern Europe. The airport is located just five miles south of the city centre and connected by train, metro and bus. The trains and metro will take you into the city centre in just 13 minutes and both run very regularly. 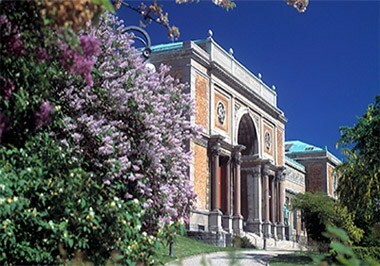 Greater Copenhagen offers Scandinavia's most knowledge-intensive research and business environment. Home to Medical Valley – located at the gateway to Denmark and Sweden - it has a vibrant ecosystem and deep talent pool underpinned by world-class life science universities and research infrastructure. Strongholds include Life Science, Cleantech and ICT. In Greater Copenhagen, you will find 12 universities, 14,000 researchers, 160,000 students, 10 university hospitals and 19 science parks & innovation incubators as well as a great number of companies within biotech, medtech, agrotech, greentech, foods, and not least pharma, many of which are R&D based. Companies include Novo Nordisk, Lundbeck, Niras and Nets. 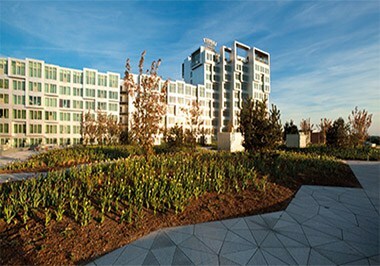 MICE hotels nearby the airport include the 382-room Clarion Hotel Copenhagen Airport, the 296-room Park Inn by Radisson Copenhagen Airport, the sustainable 366-room Crowne Plaza Copenhagen Towers, the 710-room CABINN Metro and the 228-room Quality Hotel Airport Dan. 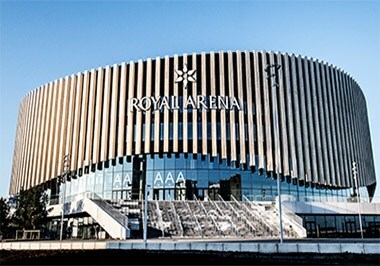 The largest convention centre in all of Scandinavia is Bella Center, which can host up to 20,000 delegates and it is located just 6 kilometers away from Copenhagen Airport and 8 kilometers away from the city centre. 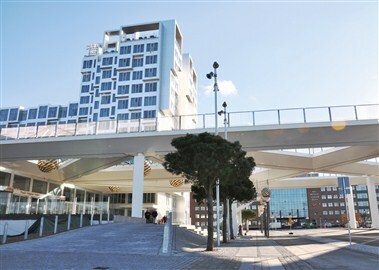 Bella Center is connected to the 812-room AC Hotel Bella Sky Copenhagen and Comwell Conference Center with 48 meeting rooms for 6,930 delegates and two auditoriums for up to 930 persons. 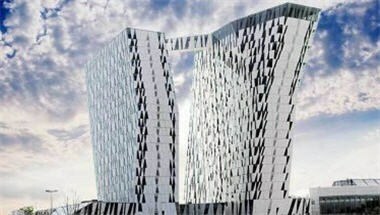 Copenhagen is booming with MICE hotels, including the 486-room Scandic Copenhagen (with its largest space being able to host 1,200 people), the 402-room Copenhagen Marriott (largest space for 600), the 679-room Tivoli Hotel & Congress Center, the 391-room Scandic Sydhavnen, the 366-room Copenhagen Admiral, the 366-room Crowne Plaza Copenhagen Tower, the 326-room Copenhagen Island, the 288-room Imperial, the 288-room Hotel Skt Petri, the 544-room Radisson Blu Scandinavia and the 260-room Radisson Blu Royal. Smaller properties include the 169-room Scandic Palace Copenhagen, the 161-room Grand Hotel, the 268-room The Square, the 152-room Scandic Webers, the 130-room 71 Nyhavn and the 123-room Scandic Front. 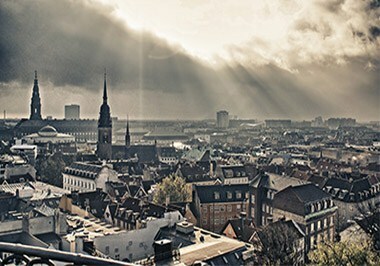 Copenhagen is one of the richest capital cities in the world in terms of average salary. Many companies' headquarters are based here and the city has its own stock exchange. 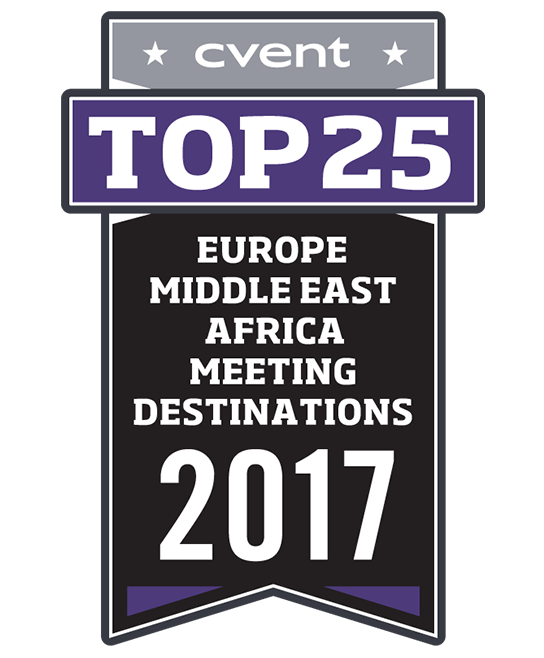 International experts have judged the city to be one of the best places to live in terms of quality of life and in which to do business. Its graceful, tall quayside homes and buildings back that notion admirably. The climate in Copenhagen follows the four seasons of the northern hemisphere, but temperatures can vary considerably during the year. Summers are mild and getting warmer, and the midsummer months are a delight with constant sunlight. Winters can be cold. Copenhagen makes full use of all seasons of the year. For instance, among its festivals during summer there is the three-day Cultural Harbour Festival, which takes place in August near the city's harbourfront. In July, it is possible to experience the Copenhagen Jazz Festival, which started in the late 1970s and today attracts almost 30,000 music fans. The largest music festival in central Copenhagen is the annual Distortion, where 300,000 people attend street parties and concerts mainly featuring music genres such as techno, house and hip hop. During the winter, the area of Nyhavn and Frederiksberg have great Christmas markets, while Yuletide is experienced to its fullest and most glaring end at the world-famous Tivoli Gardens. Danish is the official language of Denmark, but excellent English is spoken throughout the country and the Danes were ranked second best non-native English speakers by The English Proficiency Index recently (2016). So if you need to ask for directions do not hesitate to ask the locals for help. The currency of Copenhagen is the Danish Kroner. 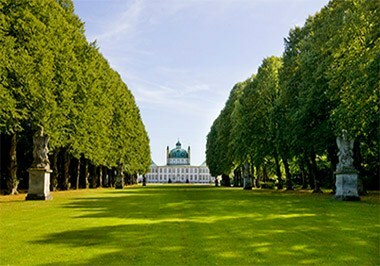 Copenhagen experiences a mild, four-season climate. Precipitation is moderate throughout the year, with the summer months peaking at an average of 2.5 inches of rain per month. Winter in Copenhagen is marked by snowfall, though it seldom lasts for long. Copenhagen's warmest month is July, with average highs of 20°C. February is the coldest month, with lows sometimes dropping below freezing point. 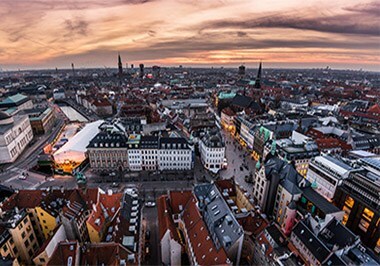 Copenhagen is home to Scandinavia's largest and busiest airport Copenhagen Airport, Kastrup (CPH), just five miles south of the city centre and connected by fast train and metro. The journey only takes 13 minutes to and from the city centre and both trains and metro are very regular. Most regional trains that connect Copenhagen to other parts of Denmark depart from the Copenhagen Central Station or from the station at Copenhagen Airport. Trains run regularly from Copenhagen Airport to Copenhagen Central Station and Nørreport Station. This journey takes approximately 13 minutes. Unveiled in 2002, Copenhagen's Metro light rail system operates on two lines, each running through the heart of the city. The M1 line runs from the Vanlose Station to Copenhagen Airport, while the M2 line runs from the Vanlose Station to Orestad in West Amager. Overall, the Metro system encompasses 22 stations spread across 21 kilometers of track between Copenhagen and Frederiksberg. The Copenhagen Metro is currently expanding to include 17 additional underground stations, scheduled for a 2019 completion. All Metro trains are fully automatic and driverless and run 24 hours a day. Trains operate at four to six minute intervals during the day and at 15 to 20 minute intervals at night. On the central stretch between Vanlose and Christianshavn, trains run about every two minutes during rush hour. Metro fares are DKK 24 for a two-zone single ride. A 24-hour ticket is DKK 65 for youths aged 13-15 years and DKK 130 for adults. Passengers under 12 travel free when accompanied by an adult. Tickets may be purchased in all Metro stations and can be combined with bus and train rides. Carrying more than 168 million passengers a year, the DSB train system runs through Denmark and the Oresund region and is the largest Scandinavian rail system. DSB operates the S-train system throughout the city of Copenhagen and the surrounding suburbs. S-trains run daily from about 5 to 12:30 AM. S-train fare is DKK 24 for a two-zone single ride in the city. A 24-hour ticket is DKK 65 for youths ages 13-15 and DKK 130 for adults. Passengers under 12 travel free when accompanied by an adult. Tickets can be combined with Metro and bus rides. Copenhagen's Movia bus system operates throughout central Copenhagen day and night, serving a total of 72 stations throughout the area. Daytime buses are marked by yellow, yellow and red (A-buses) or yellow and blue (S-buses), which are the fastest. Bus fare is DKK 24 for a two-zone single ride in the city. A 24-hour ticket is DKK 65 for youths ages 13-15 and DKK 130 for adults. Passengers under 12 travel free when accompanied by an adult. Tickets can be combined with Metro and train rides. Operated by the Movia bus system, the Copenhagen Harbour Bus system, or Havnebussen, allows access to the north and south sides of the harbour without having to use city bridges. The harbour buses are integrated into the city's public transportation system, offering free transfers to city buses, the Metro and trains. The harbour buses run on four routes, stopping at five points along the harbour. Harbour buses run daily, with hours varying by route. Harbour bus tickets are available on board and are valid for two zones in all buses, trains and Metro for one hour. The Travel Pass is a special discount travel cards for congress and meeting delegates. These cards can be used on the Metro, as well as the buses and trains in the Greater Copenhagen Area. The Travel Pass is purchased for a minimum of two days. This is especially relevant when placing a big congress or conference in Copenhagen. 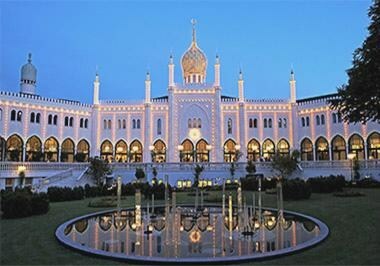 The Copenhagen Card gives you free transport by train, bus, harbour bus and Metro in the entire Copenhagen city. Moreover, it gives free admission to 79 museums and attractions, as well as discount on restaurants, attractions and entertainment. 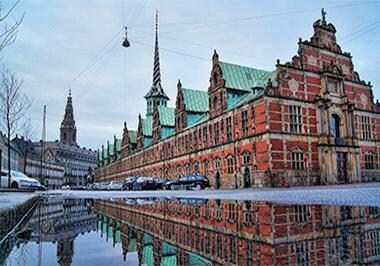 If you visiting Copenhagen for a convention, perhaps the new Copenhagen Convention Card is a better and cheaper option for you, read more about the Convention Card specifics on their website. Copenhagen Airport has rental car counters for Europcar, Hertz, Avis, Budget, Enterprise and Sixt. Agency counters can be found outside of all three terminals. Taxis may be hailed outside each terminal at Copenhagen Airport, as well as on the street while in central Copenhagen. Starting taxi fares are DKK 24 in the daytime and DKK 40 at nighttime, while ordering a taxi starts at DKK 37 in the daytime and 50 DKK at nighttime. 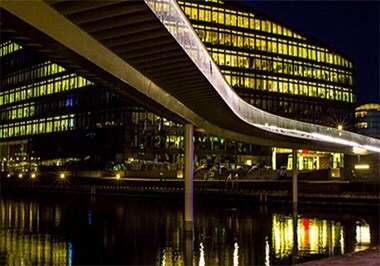 Taxi fares from the Copenhagen Airport to the Bella Center are around DKK 150. The quickest and more sustainable way to get around Copenhagen is, without a doubt, by renting a bike. Today hotels and bike shops often offer bike rentals. Otherwise the city bikes (Bycyklen) are available all over the city and are easy to use. The city bikes are intelligent electric bikes that are available 24/7, 365 days a year. Each bike has a touchscreen tablet which can be used for navigation, payment and guidance to points of interest in Copenhagen and Frederiksberg.